I love the quiet peace of New Year’s Day. I almost never sleep in, but I did today. When I did finally get up, I took my time moving through my morning. The luxury of puttering, pondering and collecting myself after the race through the holidays was such a gift. 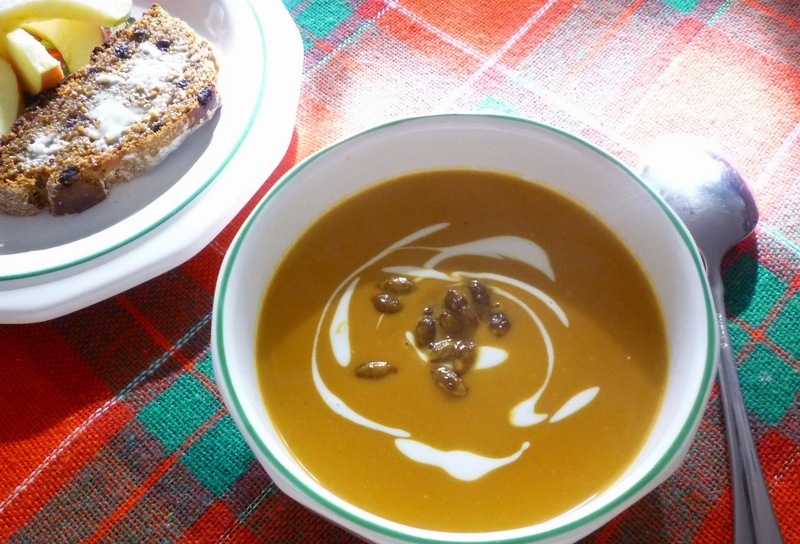 In keeping with the still, slowness of the day, I sat down to a bowl of New Year’s Eve party leftovers for my lunch…a simple roasted winter squash soup. Recipes for this soup abound...but there are basically just two ways to make it. The first—and, I would venture to say, most common—is to add peeled and cut up squash to a pot of aromatic vegetables (onions, garlic…sometimes leek…possibly celery and carrot) that have been softened in some butter or olive oil. Stock—or water—is added, and then the whole mixture is simmered to tenderness and then puréed. The second—and, I would argue, superior—is to roast the squash prior to adding it to the soup pot. 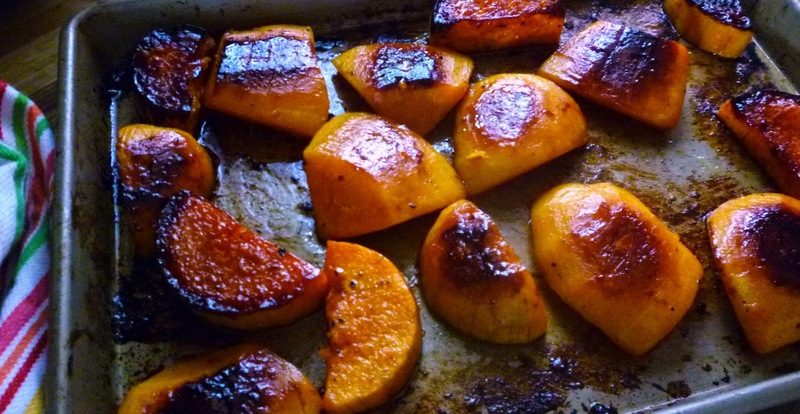 Roasting winter squash concentrates its flavor and enhances its natural sweetness. 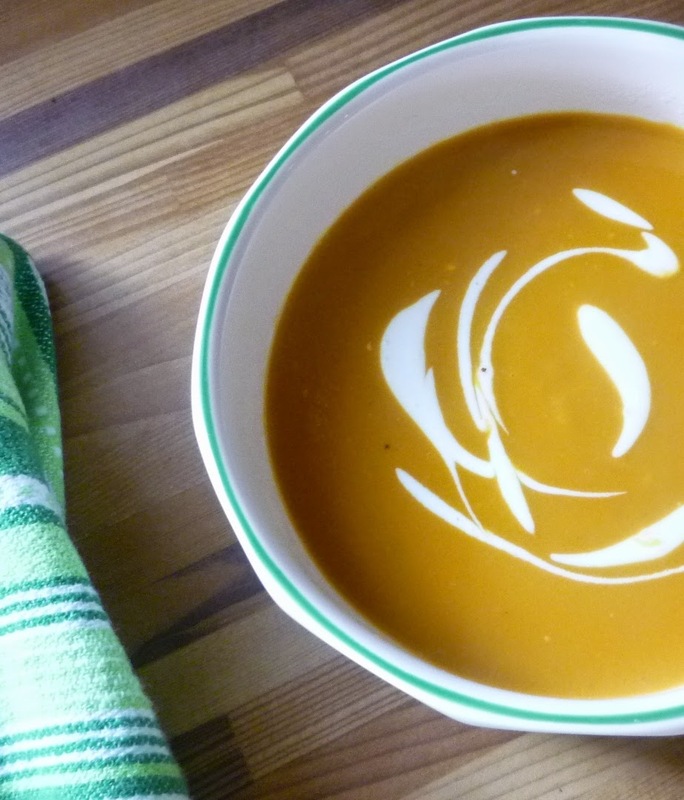 This second method produces a squash soup with a slightly darker color and a rich, sweet flavor. The recipe I’m sharing is my adaptation of Michael Chiarello’s recipe (from The Tra Vigne Cookbook). Not only does his recipe call for roasting the squash, he accentuates the sweetness of the squash even more by giving it a generous swab of butter and honey before it goes into the oven. His recipe directs you to halve the squash, remove the seeds and then brush the cut surfaces with the honey-butter (any extra is drizzled into the seed cavities). I prefer to peel the squash, chunk it up and toss it in a bowl with the honey-butter before spreading it in the roasting pan (making sure to scrape out all the honey-butter left in the bowl). …and I also avoid the messy job of scooping the flesh of the squash out of the sticky, roasted skins. If I’m using a difficult to peel squash (like an acorn), I return to his original method and scoop the flesh after baking. When you are correcting the final seasoning of the soup, don’t neglect the addition of a pinch of nutmeg. You don’t need a lot, but it is astonishing how just a tiny amount of nutmeg will enhance and lift the natural flavor of the squash. browned butter or simply a small amount of olive oil. A sautéed vegetable (or fruit)—sliced mushrooms, a small dice of squash, apples or pears—would make a beautiful and delicious addition. My preference is to add something with a bit of crunch…tiny garlic crouton, toasted nuts (walnuts, hazelnuts, pine nuts, etc.) or toasted pumpkin seeds. But if you don’t want to take the time for any of these things, your soup will still be delicious. 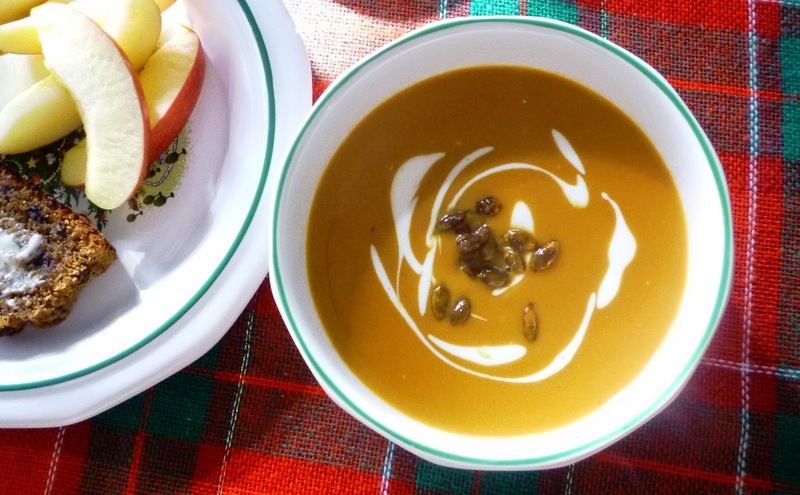 If you have never sampled winter squash soup, you should make a new year’s resolution to make a batch. It is super versatile—as appropriate for a simple lunch as it is as a first course at an elegant dinner party. And although I have never tracked such things, I feel confident in stating that, with the exception of chocolate desserts, this soup is the single most often special-requested dish for my private dinner service. Almost everyone is familiar with it; and among those who have sampled it, it seems to be universally loved. I think you could even say it has acquired the status of a modern-day comfort food…which is probably another reasons that it was the perfect thing for my lunch today. Preheat oven to 375°. Combine the butter and the honey in a small saucepan. Heat until the butter is melted and the mixture is homogenous. Set aside. If using butternut squash or other easy to peel squash, peel and seed the squash. Cut into large chunks. Place in a bowl and drizzle with the honey/butter mixture. Toss to coat and season with salt & pepper. Spread on a rimmed baking sheet. If using Acorn, Carnival…or other difficult to peel squash, halve the squash. Scoop out the seeds and discard. Place the squash on a baking sheet and season with salt and pepper and brush with the butter and honey mixture—drizzle any extra into the cavities. While the squash roasts, heat the butter or olive oil in a large saucepan/stock pot over medium heat. Add the onions and herbs. Sweat until very tender, translucent and beginning to caramelize (this will take a half hour or more). Add 6 cups of stock. If necessary, scoop the flesh of the squash. 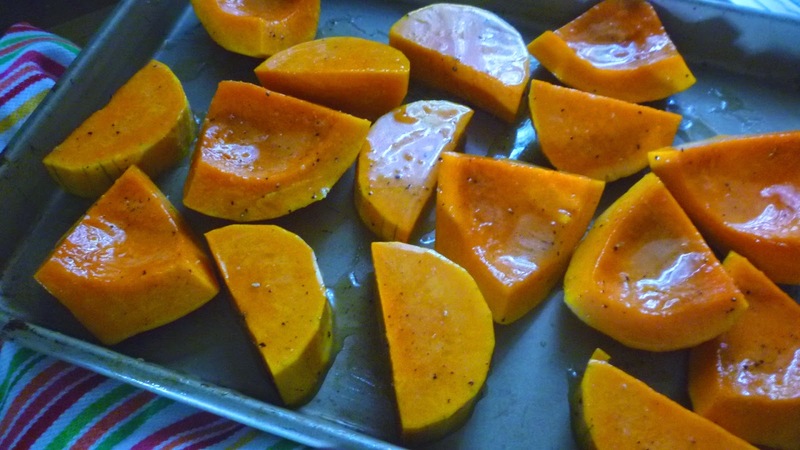 If the squash was peeled before roasting, deglaze the sheet pan with a bit of water or broth. Squeeze the garlic out of its papery skins and add it to the pot along with the roasted squash flesh and any pan deglazings. Bring the soup to a boil and simmer gently for 10 to 15 minutes to allow the flavors to blend. Purée the soup, adding more stock if it is too thick. 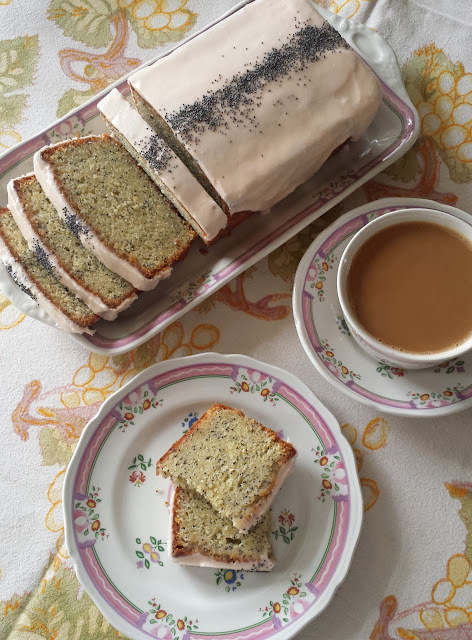 Pass through a fine meshed strainer for the most velvety texture. If a richer soup is desired, add the heavy cream. Season to taste with salt, pepper and nutmeg. Serve hot. Makes 2 1/2 to 3 quarts soup. Follow Suzanne Goin’s lead in Sunday Suppers at Lucques and add a chopped head of fennel to the onions, along with a tablespoon of fennel seed. Substitute fresh thyme for the rosemary. and served with sliced apples and brown soda bread.